What’s the ESTIMATED delivery date of my MEATER Block? 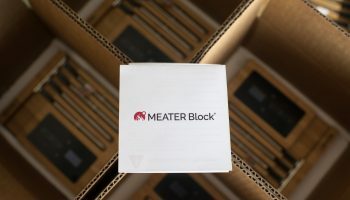 We’ve begun shipping MEATER Blocks to our earliest backers. Just like the original MEATER, we are slowly ramping up our production quantities to ensure every MEATER Block is up to our quality standard. This is our current delivery estimate (as of Nov. 8th). PLEASE keep in mind this is just an estimate and is subject to shift should we run into any issues during production. What if I’m so excited that I want to cook with MEATER sooner? 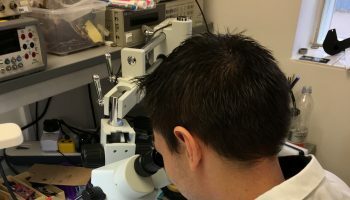 We’re offering our MEATER Block backers an exchange program that will allow them to receive MEATER+ units in lieu of their MEATER Block pledge. 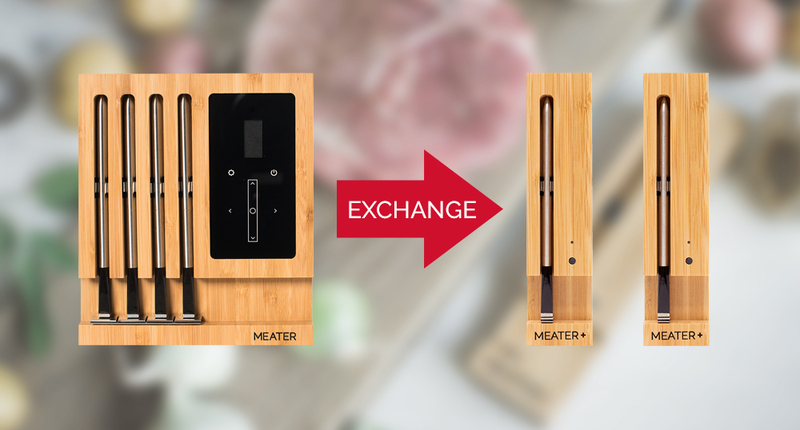 MEATER+ is a brand new product with a Bluetooth Repeater built into the charger. This will allow you to get extended range up to 165ft (50m). It’s the perfect solution for outdoor cookers and heavy duty ovens. Learn more about it here. Why do the MEATER+ Exchange program? MEATER sooner. You can also keep one for yourself and gift the other. 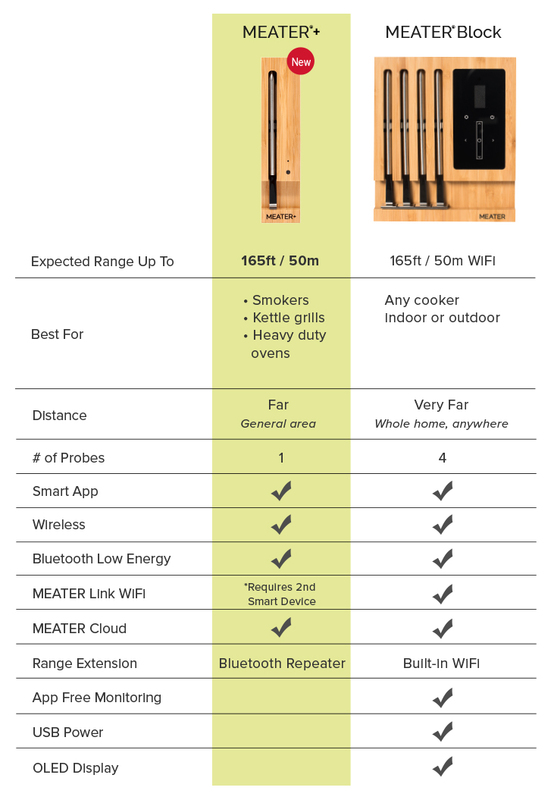 What’s the range difference between MEATER+ and the MEATER Block? 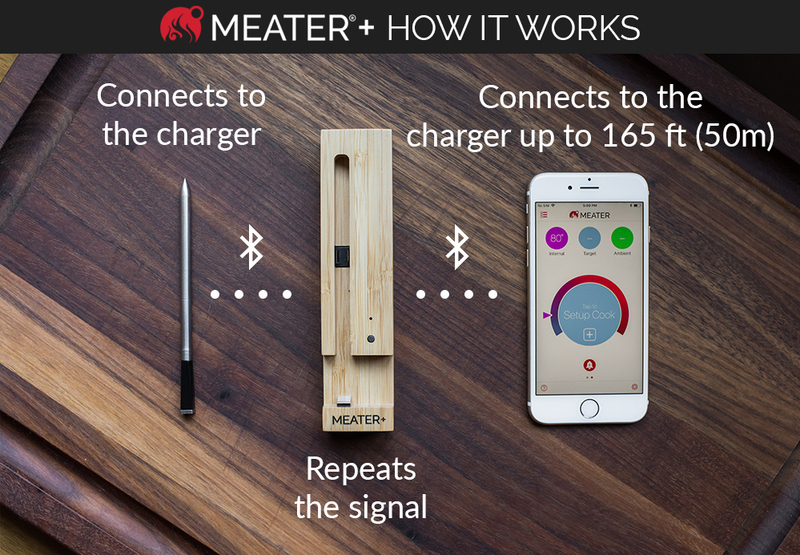 MEATER+ connects to your smart device over a boosted Bluetooth signal. 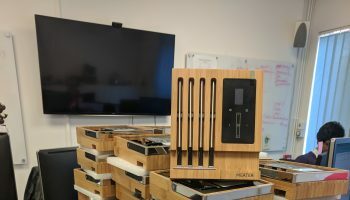 MEATER Block connects to your smart device(s) over your home WiFi router. depending on the quality of your WiFi router. Don’t worry, you can also connect your MEATER+ to your home WiFi network using MEATER Link. Here’s how to set up MEATER Link. If I’m outside of the USA, do I have to pay for duties/taxes? Yes. During the crowdfunding campaign, the platform did not have the function to charge for VAT/GST/taxes and duties by country. We were only able to charge the actual cost of shipping. That said, for any orders outside of the USA, each backer will need to pay their country’s required duties. We will declare the crowdfunding pledge value, not the current MSRP. What if I change my mind about my pledge after completing the survey? Don’t worry, your product will not ship immediately. Once we are ready to ship your product, we will email you 1 week before shipment to allow you to check your shipping address and pledge. You can visit the backer survey as many times until then. Once shipped, the information will be locked and you will no longer be able to edit the info.